Kiwi owned Nukor provides service, sales & lease of compressed air & power generation equipment. Our new Christchurch branch will allow us to better offer our top quality service and affordable pricing to the Canterbury region with it’s superior rugby team and better weather. In with the new.And out with the old. Thanks to everybody who visited our stand at Foodtech Packtech 2016Nukor exhibited some of our food grade air compressors and backup power generators to keep refrigeration systems running in the event of a power cut. A must for any company with perishable stock. Thanks to the guys at Tutill Carriers for playing musical generators in our Auckland yard. Hopefully we will be in a larger premises before too long. 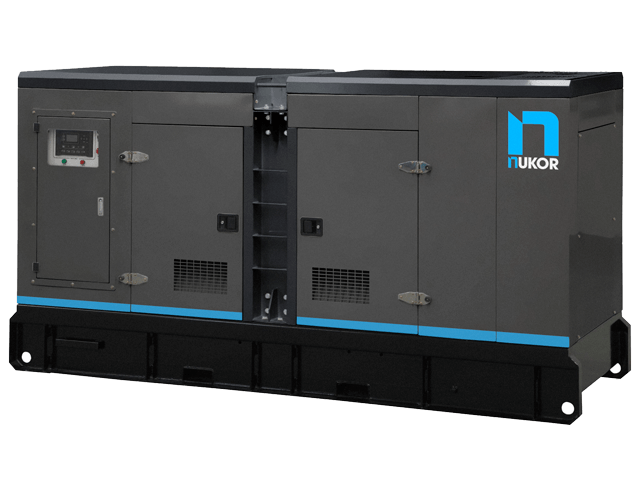 Nukor supplies leading swimming pool manufacturer with NKC-P60 Kubota diesel powered air compressor for on-site chopped strand fiberglass spraying. Two Nukor NKG-60C 60 kVA Cummins powered generators shipped to high profile customer. These generators will be running in a parallel configuration for a site requiring total N+1 redundancy. Design, testing, installation and commissioning of Nukor NKG-140C 140kVA Cummins powered backup generator at large residential care facility. Final assembly, systems check and load testing of Nukor NKG-450C, NKG-312C, and NKG-140C Cummins powered generators. All units have internal, fully bunded 24 hour fuel tanks,corrosion-proof fully powder coated chassis and 3G wireless control & monitoring. Installation of new 7.5kW Nukor NKC-7.5-TDF compressor with integrated refrigerated air dryer and dual stage oil and particulate filter into existing air supply system. Removal of old compressor and installation of new Nukor NKC-15-T compressor with integrated receiver into large kitchen manufacturing factory. Customers air supply was not interrupted thanks to our NKC-P200 portable diesel compressor. We use portable standby compressors on all jobs where un-interrupted air supply is necessary. Installation, testing and commissioning of Automatic Transfer Switch (ATS) unit to facilitate automatic starting and changeover to our NKG-10VI 10kW backup generator in the event of a power cut. Design, supply & installation of air supply system for large scale spray booths and workshop. NKC-15-TDF Rotary screw compressor and Nukor AirPipe used throughout. Indoor installation of computer and phone system backup generator, fuel tank, plumbed exhaust and air/cooling intake on second floor services room in one of New Zealand's largest foodstuff manufacturers. Nukor NKG-10-VI 10kW Diesel Generator. Our new range of NKC-P diesel powered air compressors are now available for sale, hire, or lease. Nukor NKC-P diesel portable air compressors available soon 10KW - 300KWPowered by world-renowned Kubota and Cummins engines Digital control panels High efficiency Airend-pumps Low noise design Trailer and skid mount optionsMore information available soon. Check out our new NKC-S scroll compressors, so small, powerful and QUIET! It's more like having a fridge than something industrial! Just a wee run thru the start-up and shutdown of our NKG-10Vi silenced AC genset.